0.15 sec. – 64 min. 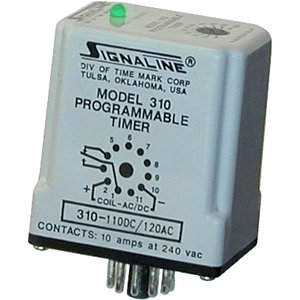 The Model 310 Programmable Timer is a universal timer designed to replace over 20 standard timers. 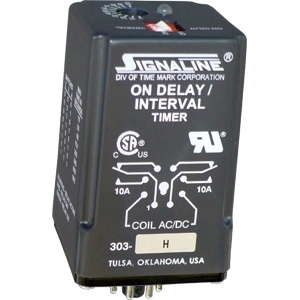 Each Model 310 can be set for one of five functions in four timing ranges, and is available in three voltage ranges. The digital design of the Model 310 provides high accuracy repeatability and response time. 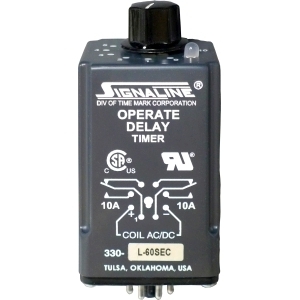 The heavy-duty output relay carries loads up to 10 amps at up to 240 volts AC, resistive. 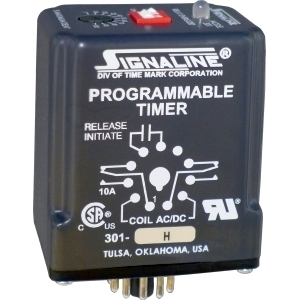 Programming is accomplished by simply installing jumper wires between two or more socket pins. An LED indictor illuminates when the relay is energized.